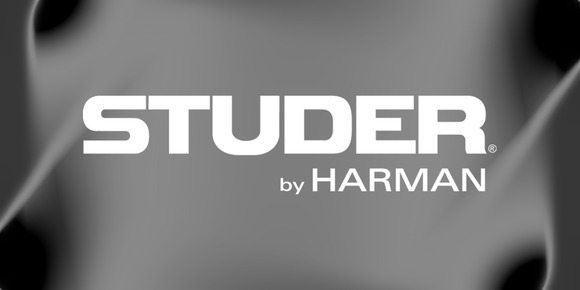 AMSTERDAM, The Netherlands — System redundancy in equipment is a vital component for broadcast applications, and HARMAN’s Studer offers a wide array of backup options to cope with potential hardware failures. Mindful of this ever-more-important requirement, Studer has developed a failsafe solution with its new Vista 9M2 QS console, with every major element from power to desk controls to metering being fully redundant. Taking advantage of the latest technology high-speed low power miniature processor boards, the new Vista 9M2 QS features no less than four computers to provide a fully redundant control surface. This new concept with all four computers connected in a star format means no loss of function should a fault occur. All desk functions, faders, knobs, buttons, Vistonics™ screens, TFT metering, title management, snapshot save and recall are all possible in the unlikely event of a computer failure. In fact the system may be started normally even if the main computer is not available. Should a fault occur the operator simply presses a single switch to make the surface change over to the standby control system. All production data such as snapshots, fader layouts, monitoring settings and so on is already available on the standby system due to background disk mirroring, allowing the operator to continue the production without a break in the audio. The redundancy even extends to the Ethernet switching hardware so there is truly no single point of failure in the desk. Naturally, desk power supplies are also dual-redundant, with solid-state disk drives for immunity from transport vibration and improved reliability due to lack of moving parts. DSP cores may be equipped with redundant DSP cards that automatically take over the audio signals, and I/O cards may be hot-plugged. The Vista 9M2 QS also features a software upgrade, bringing many significant new usability features.